Director: Paolo Dy, Cathy AzanzaWriters: Paolo DyStars: Andreas Muñoz, Javier Godino, Julio PerillánSummary: 'If you could hear the voice of God, would you want to keep it secret?' 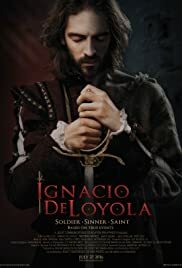 A historical drama based on the memoirs of St. Ignatius of Loyola, founder of the Jesuit order. This is the story of a soldier, a man of vice and violence who, in his attempt to turn to the light, was forced to wrestle with his inner demons to the very brink of death. A Filipino production shot in Spain and the Philippines, the film chronicles his valiant but futile defense at the Battle of Pamplona, his struggles with depression and near-suicide, his trial before the Inquisition, and his ultimate vindication.